In 2016, we celebrated reaching the milestone of providing over 20,000 life changing scholarships. 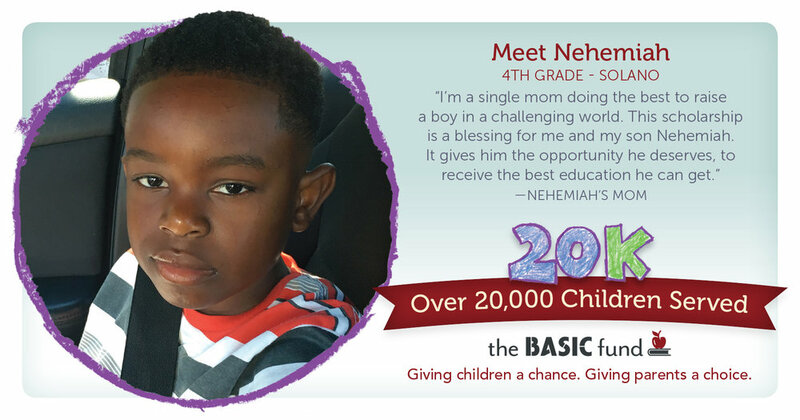 A BASIC Fund scholarship gives parents a choice in their children's education, and their children a chance to succeed. In 2017, we thanked our supporters for making a difference in the lives of more than 21,000 students and families. Click here for our PRESS RELEASE.